Choose the path to better health! Find out how massage and bodywork can help you lead a more active, energy filled life! Thanks for your visit! Pathway to Health Massage Therapy exists to walk with you in your journey toward a healthy, more energy filled life! I am honored to be able to help people feel better every day. Whether you are recovering from an injury, dealing with repetitive use issues, tension from overused muscles or need overall stress relief and pain reduction, I can help you. Taking care of yourself and reducing stress is so very important and you will notice the benefits in all areas of your life. Please take a look around and feel free to contact me with any questions you may have. From reducing recovery time after injuries and surgeries to improving the look and health of your skin, Lymphatic Drainage has something to offer everyone! Using a very light, gentle touch, this therapy can improve the functioning of the central nervous system and help enhance the body's natural healing processes. 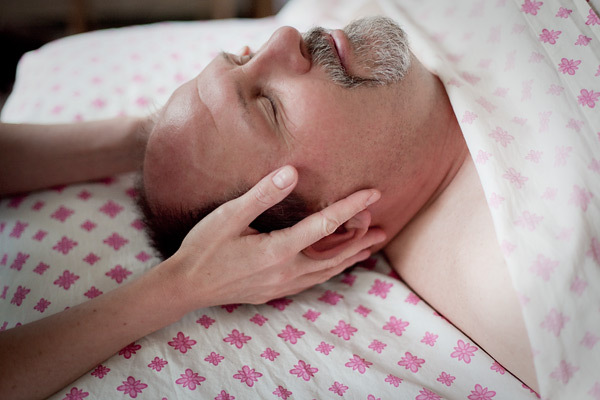 Bodywork can be especially beneficial for those living with Parkinson's. Improving flexibility, ease of movement, and reducing stress and pain can help you manage this chronic movement disorder. Start taking care of yourself today!